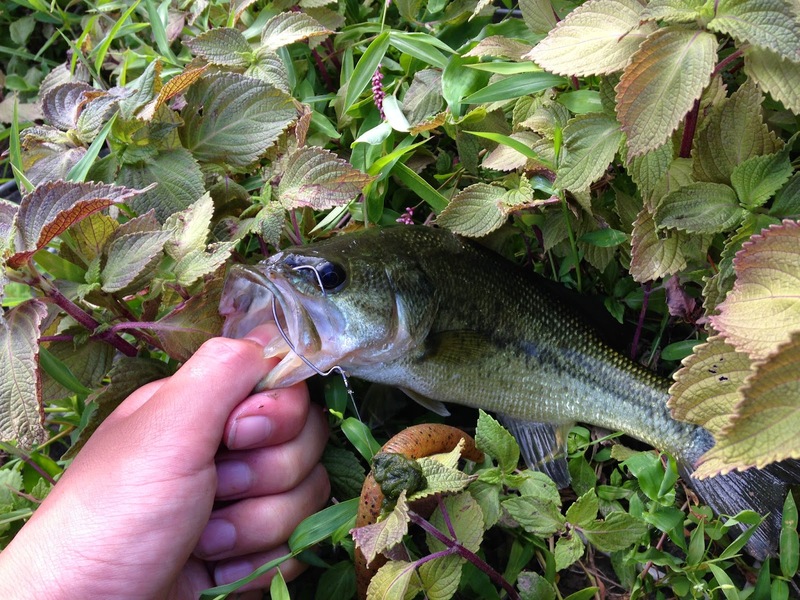 The day after I returned from camping, I decided to return to my golf course pond for an hour and see what I could catch. It was a rather slow day, being the hottest time. 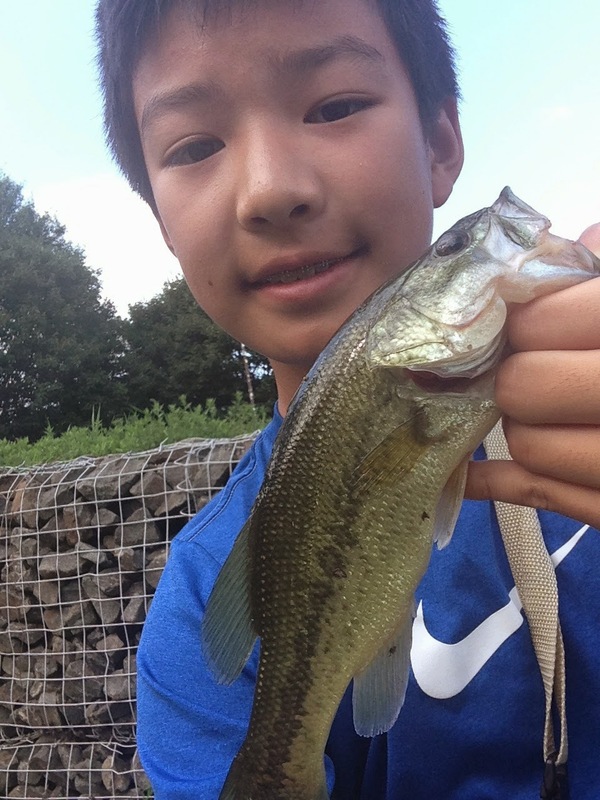 I managed two small bass, all on Senkos. Using wacky rigged Senkos, I've developed a trick to make them last longer, because Senkos are like bubbles; when a bass hits it, it falls apart. Loop a rubber band or fishing line around the Senko where the hook enters. Then hook the hook through the Senko and the reinforcement. I've found that this method lasts up to 3x longer, ultimately saving money.